A man was killed early Thursday morning in San Jose near a Jack in the Box restaurant, making him the city's 16th homicide so far this year, and the fourth homicide victim in less than a day in the South Bay. 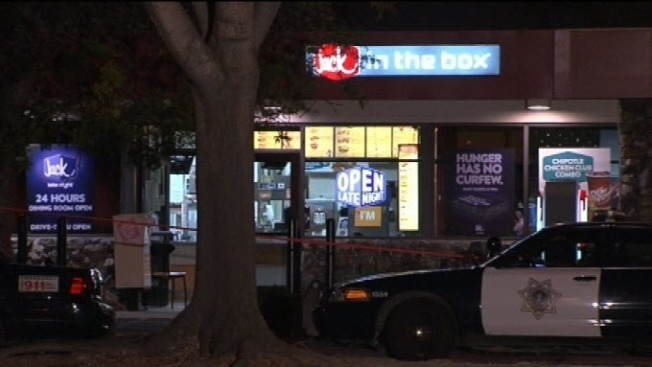 In the Jack in the Box death, an assault was reported about 1:20 a.m., police said. Officers responded to the parking lot of the Blossom Hill Road restaurant to find an injured man near a dumpster. He was pronounced dead at the scene. Police say the man was attacked with some sort of weapon. Hisdeath comes on the heels of the city's 15th homicide, less than 24 hours before. A maid at the Holiday Inn Express discovered a woman's body Wednesday about 1:30 p.m. in the 2600 block of Monterey Road. And nearby, in unincorporated San Jose, sheriff's deputies said a 48-year-old woman and a 1-year-old child were stabbed to death Wednesday about 3:30 p.m. A 3-year-old was stabbed, but not killed. A man was detained in that case late Wednesday night.